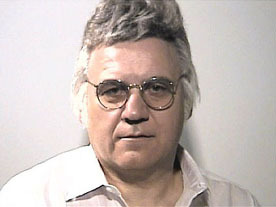 AKA James Anthony Traficant, Jr.
Former US Congressman from Ohio, elected to nine terms as a Democrat before being sent to Allenwood Correctional Facility (sans toupee) for racketeering, bribery, obstruction of justice and tax evasion. Released from prison in September 2009, and ran unsuccessfully for his old House seat the next year, without party affiliation. Killed in a farm accident in 2014. Father: James A. Traficant, Sr.